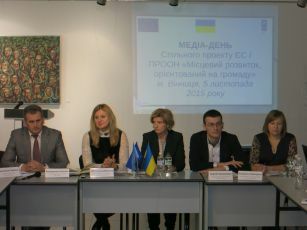 On November 5-6, the Joint EU/UNDP Project “Community Based Approach to Local Development” (CBA) in partnership with the local, district, regional authorities held Journalists of Ukraine will hold a Media Day on sustainable local development and rural economic development in Vinnytsia for media representatives of Khmelnytsky, Ternopil, and Vinnytsia regions. These regions participated in piloting the economic component during the second phase of the Project; in addition, they continue to support economic initiatives of communities with in the CBA-3. 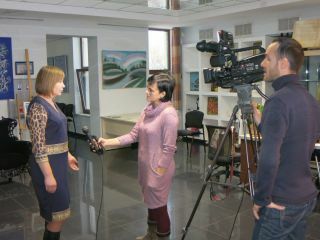 Media event lasted two days and included Media Training and “Community Success Story” section, followed by a press tour and a personal acquaintance of journalists with all its characters. During the first part of Media Day in Vinnytsia, all parties, involved in joint local initiatives with the common purpose – improvement of people’s lives – were presented to the media. 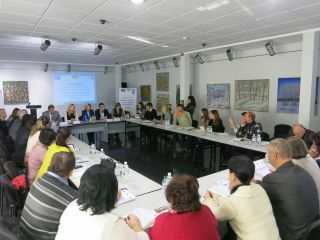 These parties included local representatives of the Project, partners at the local, district and regional authorities, the heads of Press Service of the regional councils and regional administrations, the leaders of community organizations, and constant professional media partners of the CBA Project. During the Media Day, organizers always emphasized the important role of the media in dissemination of positive experience of the CBA Project, in highlighting the successful development of communities, in raising public awareness through the media. Within the event, was conducted a special Media Training concerning the methods, approaches, and the importance of media coverage of the topics of sustainable socio-economic development, raising public awareness in the area of energy efficiency and community based approach to local development. The First Secretary of the National Union of Journalists of Ukraine Sergiy Tomilenko told journalists how to cover topics of sustainable development and avoid common mistakes. The trainer also reviewed and analyzed the existing publications on local development for compliance with standards of journalism. The main purpose of Media Day of the CBA Project is to develop a media-pool and establishment of a permanent "information channel" with the media to transfer the best practices on local development and Project methodology.